Posted By: henzhen Sunty Techonology Co.,Ltd. 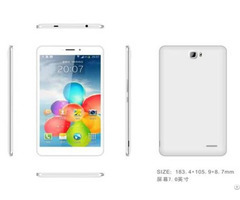 Business Description: Shenzhen Sunty Techonology Co.,Ltd., was founded in 2004. Sunty is a leading mobile internet portable device manufacturer with scientific research, development, production and sales. Sunty is specialized in Android tablet PC, Windows tablets PC, stick PC , pocket projector, all in one VR headset, etc, with nearly 15000 square meters of production plant and more than 600 employees. Sunty has over 10 year OEM/ODM experiences, WELCOME for your enquiry! I believe we will share a happy time.